October’s PermaBlitz #4 is underway with the Host site assessment and base map complete and the concept overlays in the works. We’d thought we’d share how the PermaBlitz magic happens by detailing some of things that occur to make each PermaBlitz such a great day. But first, who are the people who put on a PermaBlitz? The Earthshed Solution’s PermaBlitz committee are the folks who do all the leg work for a PermaBlitz. This group of volunteers is comprised of the design team & interns, board members and others committed to helping bring free permaculture education to our community. They organize the ‘Blitz, strategize the flow of the day, detail out the projects and activities based on the Host’s design and work hard to ensure a fun day is had by all. They’re super awesome, huh?! Specifically, it’s the design team and interns who draw up the permaculture design for the Host. They follow a structured approach to begin but, when making design decisions later on, they utilize a very non-linear methodology. Does that sound confusing? It probably does but it really isn’t. Let’s tackle this one step at a time. These permaculture principles are just two of the 12 principles that we ensure remain the backbone of all of Earthshed PermaBlitz designs. Each PermaBlitz starts with the Host filling out, as best they can, a comprehensive questionnaire about their property, themselves and their goals -both for the long term and for the ‘Blitz itself. 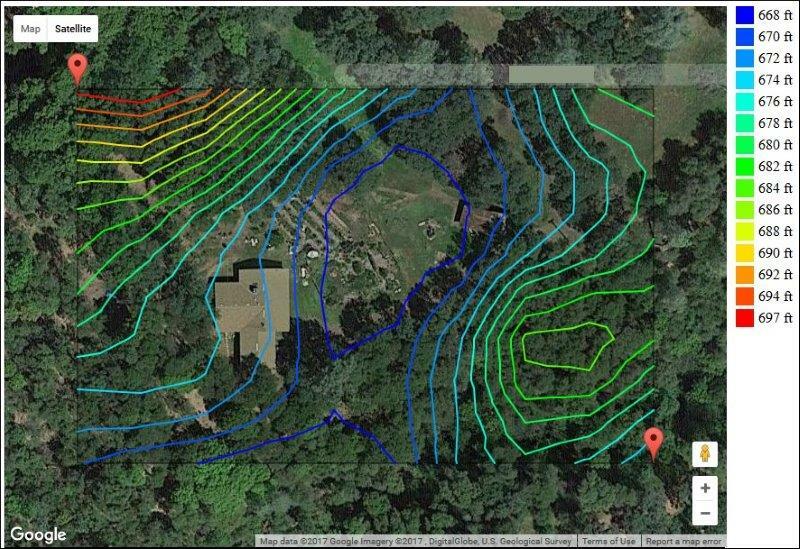 Before stepping foot on the Host’s property, the questionnaire and other information is studied by the PB committee and the design team draws up a simple map (using Google Earth) which is used for notes and measuring the ‘Blitz target area. The Host Visit and Site Assessment is the second step in a PermaBlitz. The entire PB Committee meets at the Host’s home, usually in the morning over tea and coffee, and spend upwards of 3-4 hours talking, walking and discussing the Host’s goals laid out in the questionnaire. This is a great opportunity to get to know the Host, enjoy some quality time outdoors and to ensure everyone is on the same page moving forward. Walk the property, ask questions, listen closely, take pictures, take notes, and most of all observe! The next step is done off-site with the design team and interns and is the most linear part of the design process. During this phase they use P.A. Yeomans’ modified Scale of Permanence as a baseline. Drilling down into more detail for each category is crucial because this research is heavily used in the design process. For example, under Climate, the design team finds the USDA Plant Hardiness Zone, the Koeppen Geiger climate classification, rainfall information, hot/cold extremes, etc. It’s especially important to make note of rainfall information and historical patterns; like annual high/lows, 24 & 72 hour maximum rainfall etc. The highest recorded 24-hour rainfall event is used when determining rainwater catchment areas, for the number and placement of swales and more; as are topography maps. The contour lines on a topo map are utilized for noting patterns in the landscape and determining the severity of slope. 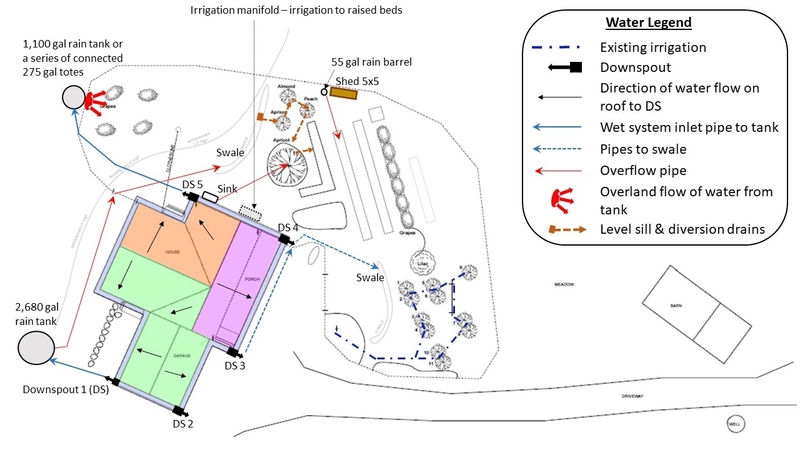 This information provides insight on the feasibility of using swales, building ponds, the need for terraced gardens etc. Keep in mind though, reality is often very different than what is seen on a map. Try and remember this old adage, “the map is not the territory” and always, always use site ground truths (direct observation) in design. After the research is performed and observations recorded, the design team starts working with the design methods. This is where the fun really begins because of all the out-of-the-box thinking that inevitably happens. The PermaBlitz design team utilizes six different and interactive methods for designs. There are many, many permaculture design methods to draw from and based on past experiences the team found these 6 to be consistently solid methods as well as fun to work with; which is really important when teaching both interns and the community. While not strictly a “method” let’s not forget the Ethics and Principles of permaculture -which are the foundation for all decision making. As shown by the arrows in the diagram, this process moves back and forth, in and out, across and sideways. In other words it is not linear! All the methods are interwoven with one another and often several drawings and overlays are produced as a result of the teams’ various design ideas. For the sake of time and space (because detailing the design methods could be its own article) let’s describe a situation utilizing the Design Methods. Because it’s such a precious resource here in our Mediterranean climate, let’s keep with the rainwater element mentioned in Step Three: Research. How much rainwater can we harvest? What can we do with the water? What kind of plants to use? Gaining an understanding of how much rainwater can be harvested and its most beneficial use utilizes a lot of the research done previously -as well as the Design Methods in parentheses below. How much rainwater can we harvest? Calculate the square footage of the rooftop (WAS -Structure) then find the total volume of water within a 24-hour maximum rainfall event that could be harvested (Observe/Research). Where should it go? 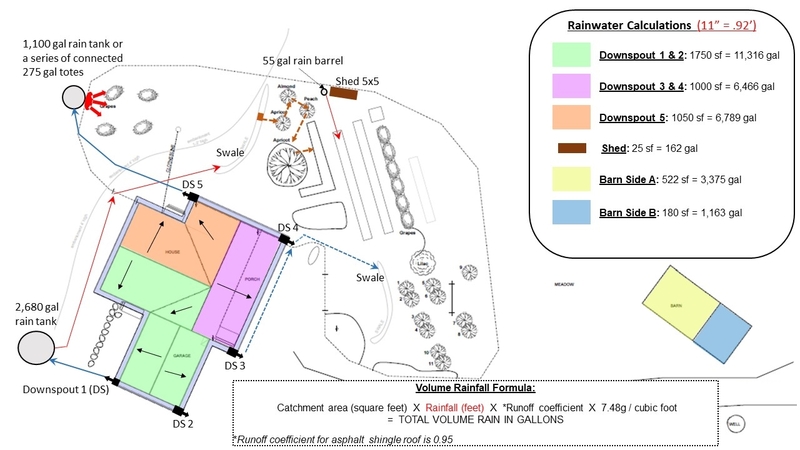 Determine where the rainwater could go while ensuring some open space for walking and wheelbarrows (EEP -Zones of Use & WAS -Access). What can we do with the water? Figure out the best spot to sink the rainwater in the landscape (WAS -Water) so that it can be used by plants and/or infiltrate the soil recharging aquifers and reducing erosion (Observe/Research, EEP -Slope). Can the water be used more than once? (Relative Location) Maybe for an outdoor sink placed next to the annual beds or for chickens or … (Random Assembly). Meeting the Host’s goals and wish list items are a top priority, but the context in which the property is found determines the overall design. After filtering the goals and wish list elements the base map is transformed into several drawings and overlays using the design methods and finally into a (often singular) concept design that is presented to the PermaBlitz Host. From this concept design the Host will often make some minor changes and a working master plan will be drawn up. From the working master plan Projects and Activities are chosen by the Host and PB Committee to take place at the PermaBlitz. And it’s these Projects and Activities that are best part of a PermaBlitz! If you’re interested in gaining firsthand knowledge and experience in permaculture design, join us! There are many ways to get involved in our hands-on PermaBlitz education program. 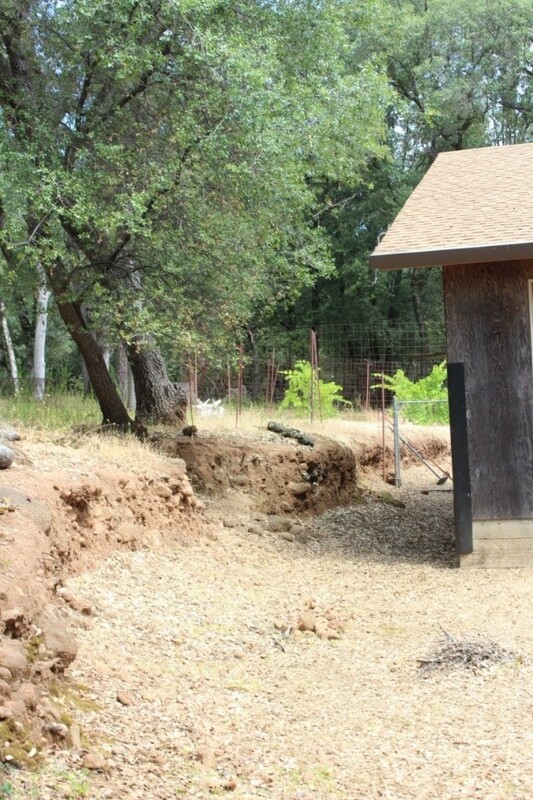 Attend the Pre-Blitz Chico Permaculture Guild Gatherings. These are held the two months prior to the ‘Blitz and are introductions to permaculture in general as well as a first-hand insight into the upcoming PermaBlitz. We’ll use all the information gleaned from the assessment and analysis in an informative slide show presentation and interactive forum. You can check out the schedule here. Attend a PermaBlitz as a participant. Nothing beats a full day working with others, learning useful skills and eating a free lunch! Currently we host two PermaBlitzes each year in April and October. You can find more information about how to attend on our PermaBlitz page. Host a PermaBlitz. Hosting a PermaBlitz is a great way to improve your landscape, get free labor for implementation as well as a permaculture design that you can utilize for years to come. Hosting is based on reciprocity where every Host must attend Earthshed events to enjoy the benefits of having so many hands helping install permaculture projects at their property. You can learn more on our page dedicated to Host information. Join the PermaBlitz Committee! As mentioned we currently host tow PermaBlitzes each year. We would love to do more but we need more people to get involved. If you want to help bring permaculture to more people in our community -more often- join our PermaBlitz Committee! You can contact us at permablitz@earthshed.org.